Our grades 1 to 6 Sunday School meets in Room 101, just beyond the Church Office. We have several Godly Play teachers and a lot of fabulous Godly Play materials. Children join us for communion in the church. Sunday Nursery: St. Christopher’s nursery is for children under 3 ½ years old. We have a fantastic nursery staff who work in rotations of two a Sunday. The nursery school is located toward the back of the campus. We provide loving childcare from 8:30 to 11:00 am on Sundays and often during special season services. Sunday 8:30 to 9:30: Informal Sunday School (ages 3 ½+): We offer time with Miss Fran (Dillinger) in our Library. Sunday 9:30: Catechesis of the Good Shepherd (4-6 years): In Room 102, by the Library. 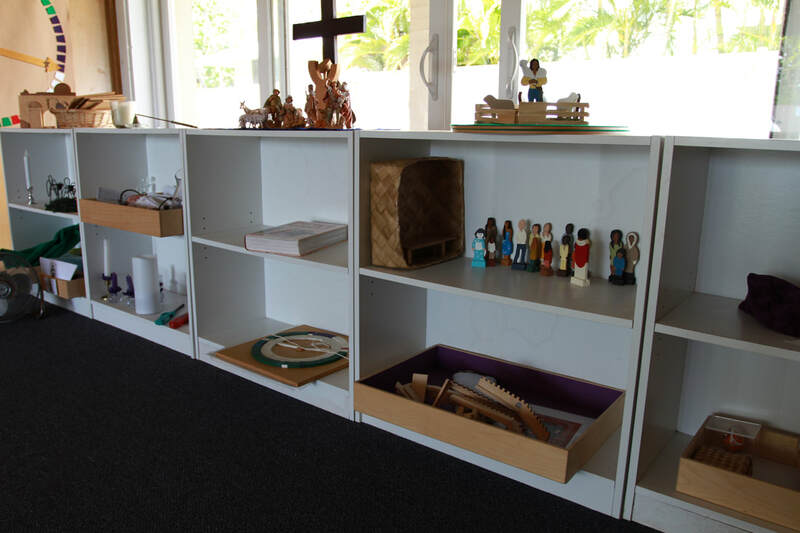 This is a Montessori-style class that joins us for communion in the church. Sunday evening: Youth Group: The youth meet for movies, hiking, musical events, service projects, food and conversation. Contact Preston Lentz if you'd like to join in! Summer camp: Camp Mokule’ia is hosting an open house on April 28 and now has open registration for summer sessions. Sign up at www.campmokuleia.org/summer-camp. Scholarship money is available for campers! Please contact our church office for more information.